Los Angeles offers so much to see and do that it comes as no surprise to find this vibrant city at the top of so many “Must Visit” lists! Once you have chosen LA as your destination, it’s time to take a look at the nearly limitless LA tourist attractions and activity options. We love to check out places that locals love when we visit a new destination and find those hidden gems that other tourists may miss. In LA, that means a trip to the Museum of Illusions! You will feel the icy cold when you interact with this fan-favorite exhibit. Imagine yourself struggling to board one of the last lifeboats as you navigate your escape from the most famous shipwreck in history! If you are feeling daring, be sure to check out the elevated platform above the streets of LA. Take a look at the Hollywood sign as you teeter on the edge of the viewing platform! Hold your breath as you inch even further out and look down below upon the city of Los Angeles! There’s nothing like a surfin’ safari for your next selfie. Hop on what looks like a surfboard surrounded by killer waves and hang ten! No visit to California is complete without a little time on the waves. If you are going to be visiting the greater LA area or are an Angeleno looking for a fun day out, the Museum of Illusions is definitely one of the most fun and exciting of all the Los Angeles museums. 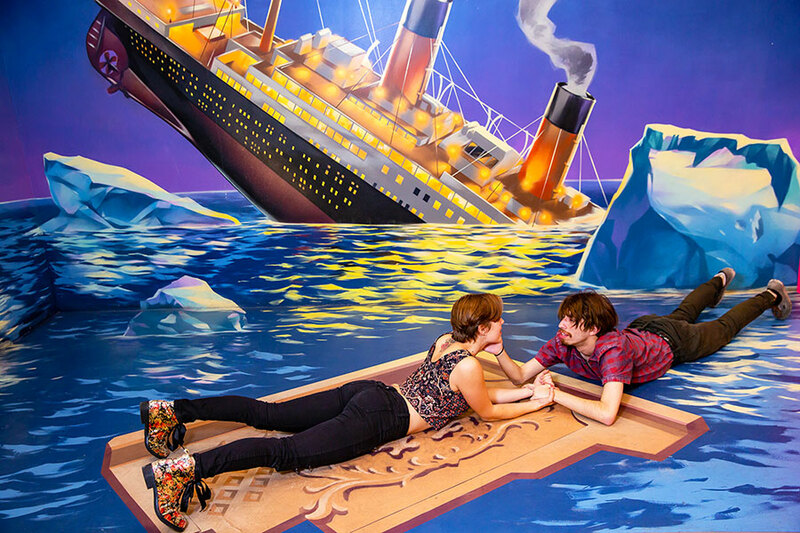 There’s never a dull moment when you visit the Museum of Illusions, one of the most fun of all of the Los Angeles museums!